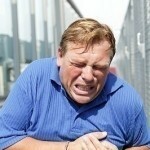 Chest pain refers to soreness or a sharp feeling in the upper, lower, right or left part of the chest. This health condition is commonly associated with other serious diseases like angina, pneumonia as well as aortic dissection. In most instances, the condition is only caused by dyspepsia. However, a long lasting pain in the chest should be treated immediately since it can be a symptom of illnesses related to the cardio respiratory system. 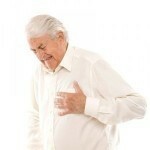 To know more about this health condition, it is best to look at the symptoms and causes of chest pain. In addition, it is also important to learn the proper chest pain diagnosis and chest pain relief methods. To know if the health condition is serious, it is good to know the different chest pain symptoms. One of the symptoms of the condition is an increasing and sharp pain around the chest. 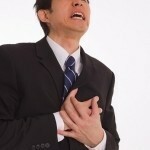 Another symptom, which can indicate that the condition is serious, is the constant and severe discomfort in the chest. The other symptoms include stabbing or tingling pain in the left area of the chest. If a patient experiences any of the signs mentioned, it is best to seek immediate help from medical experts. This health condition has various non-cardiac causes, which include sore muscles, esophageal spasms, panic attack, costochondritis and pinched or injured nerves. Other non-cardiac causes are heartburn, pleurisy, achalasia and gallbladder illnesses. Aside from these, chest pain is also considered as a symptom of chronic cardiac diseases like pericarditis, heart attack, coronary artery spasm as well as angina. To diagnose this health condition, medical experts perform various tests. One of the most common tests performed by physicians to identify the real cause of the pain is electrocardiogram. This test is reliable because it determines the heart’s electrical activity. Another test that can be performed by medical doctors is a stress test, which normally uses nuclear scan and echocardiography. Other effective tests performed to diagnose the condition include blood tests, endoscopy, magnetic resonance imaging, coronary catheterization as well as electron beam computerized tomography. Whenever a patient experiences a shooting or sharp feeling in the chest, it is best to use some of the recommended pain relievers such as theophylline. Another way of relieving the pain is by aromatherapy. To avoid having further problems, it is important to seek advice or recommendation from physicians or medical experts about the proper oral administration of the medicines.